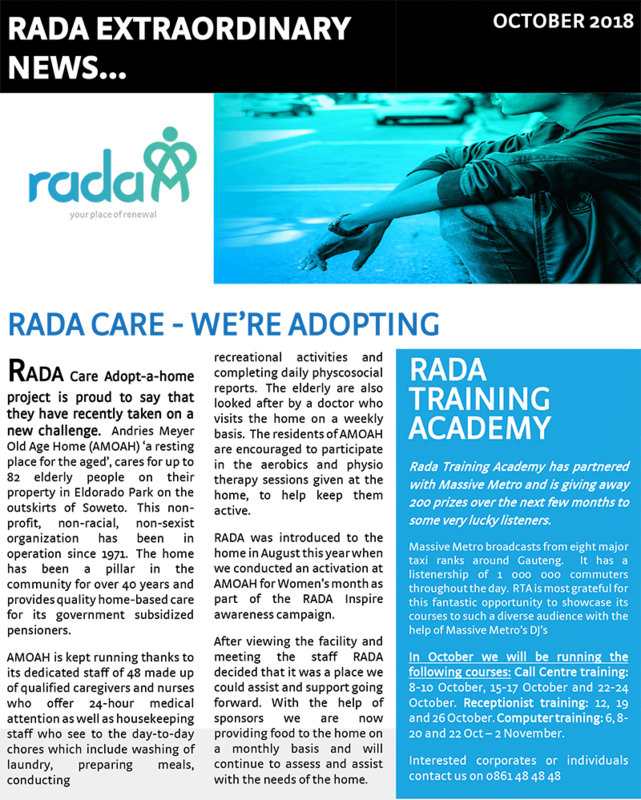 RADA Care Adopt-a-home project is proud to say that they have recently taken on a new challenge. Andries Meyer Old Age Home (AMOAH) ‘a resting place for the aged’, cares for up to 82 elderly people on their property in Eldorado Park on the outskirts of Soweto. This non- profit, non-racial, non-sexist organization has been in operation since 1971. The home has been a pillar in the community for over 40 years and provides quality home-based care for its government subsidized pensioners.